This is the best way to handle and photograph a tarpon. 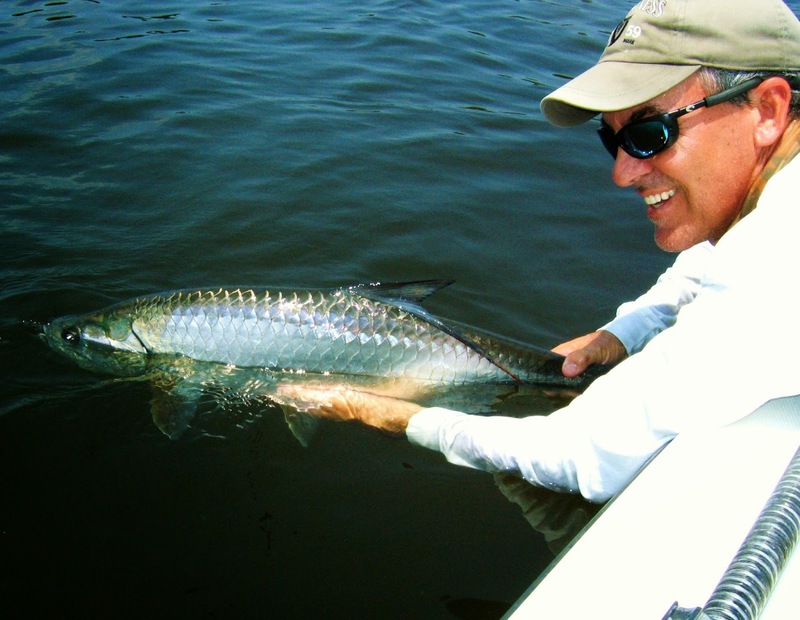 In fact, for any big tarpon caught in Florida, it's the only legal way to handle and photograph them. If the fish is over 40 inches in length then removing it completely from the water is considered possession and that requires a $50 state issued tag to be placed in their lower jaw. If the fish is small enough, like the 30 incher I caught in the photo above, you can quickly pull it from the water for a picture on the boat. Just remember to hold it gently with two hands and don't put pressure on it's abdomen unless you want a nice coating of tarpon poo all over yourself, something your really want to avoid on a hot day. Trust me on that one.